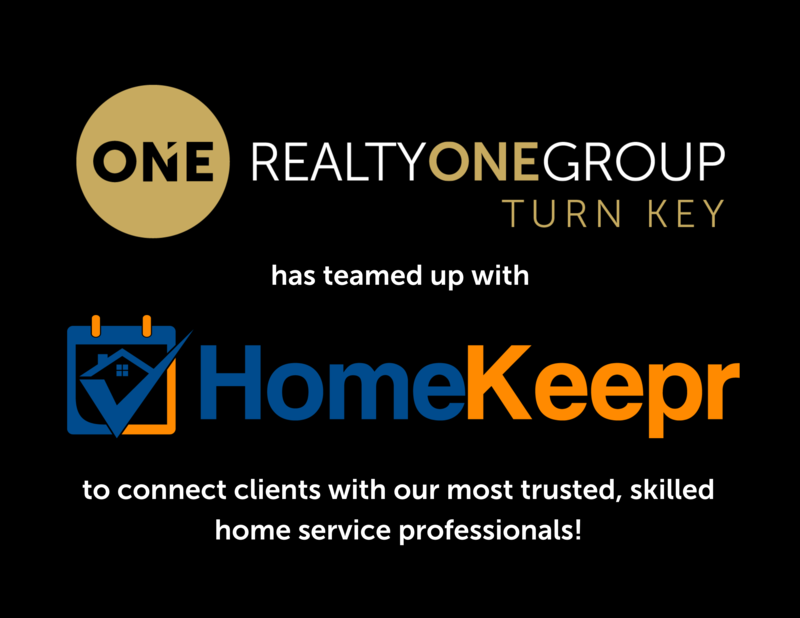 Realty ONE Group Turn Key has teamed up with the amazing HomeKeepr app, to help our clients with home ownership! We have input our favorite, most trusted, and skilled professionals together into this app, and are happy to give it for FREE to every one of our clients. Subscribe to our weekly HomeKeepr Newsletter!